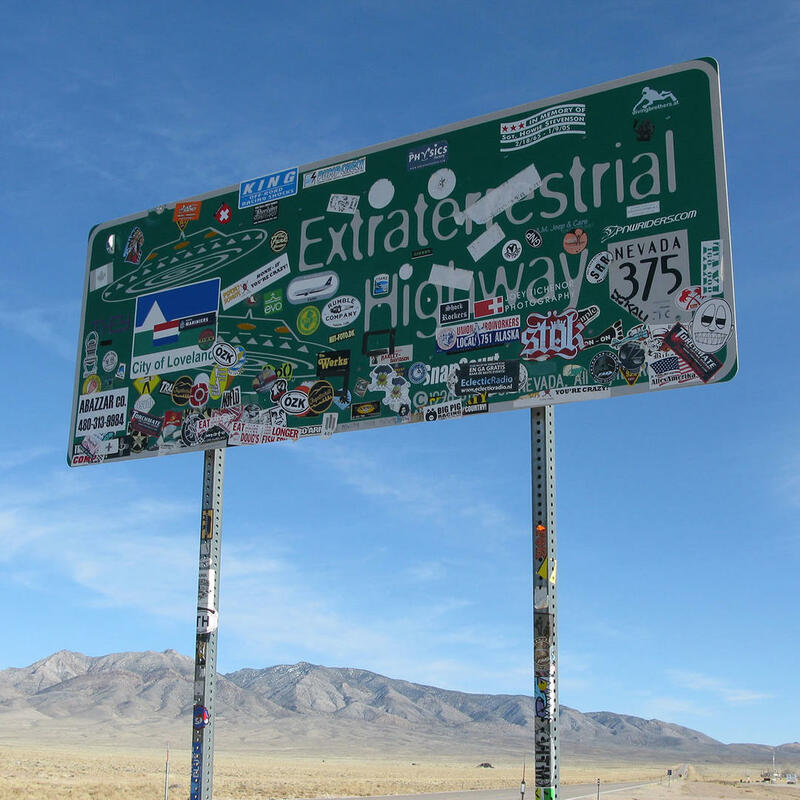 This lonely stretch of highway deep in the Nevada Desert is popularly referred to as the "Extraterrestrial Highway" because of the numerous U.F.O. sightings that have been reported while traveling this route. Most reports these days, however, can be explained. Nellis Air Force Base is near, which houses the Nevada Test Site where many missiles and aircraft are tested. So the sounds of sonic booms from the F18s zooming overhead are even more common than the U.F.O. sightings!